Re/Max Hallmark Estate Group Realty Ltd.
"I am writing this unsolicited client testimonial today for FARfoto8 in response to the suburb experience that I recently had working with them when we sold our home. After employing a ‘standard’ in-house photographer from our realtor’s large, brand name, firm we found ourselves somewhat satisfied with the results but not overly impressed and we knew there was room to improve, quite a bit of room actually. Being that we were selling our home in the hot Toronto market, and with a million dollar price tag none the less, we had much higher expectations for the quality of work that would represent our investment when it hit the market. After speaking with a few friends and hearing the FARfoto8 name pop up more than once as the ‘hot new option’ we decided to check them out. Since our Realtor had already paid for the in-house shots, we ultimately had to go out of pocket in order to re-shoot with the new service. WAS THIS EVER WORTH IT! Fred, the owner and videographer, was incredibly responsive right from the moment we first reached out. He emailed back almost instantly, answered his phone directly (yes that’s right, he answered his phone!) and even responded to text messages late into the evening when I had additional questions. This quality of service carried on throughout the process, without exception. The team showed up exactly on time, they were incredibly considerate of the cleanliness of our home (it was being shown after all) and they immediately removed their shoes when they arrived. Any lights or staging recommendations that were made for the photos were promptly put back exactly where they were found, and this great experience was all had before we even saw the work! The photos were outstanding and the video was exceptional. The video in particular was remarkable. The picture was super crisp and vivid FHD, with incredibly smooth panning and crane work. It was also beautifully lit with stunning composition (I’m a bit of an amateur photo & video buff so I know what to look for. But not too worry if you’re not, you can trust you’re getting amazing work!). The real show stopper though, was the drone video! Cool factor was off the charts here! We had several calls from friends, and even friends of friends, asking who shot the amazing overheads and fly-bys of the house and our agent even received several calls to ask about it from other realtors. Quick, courteous, exceptionally well-priced, on-time and brilliant work. Love, love, loved the result! We’ll see you for our next home for sure! Thanks to Fred and team for the outstanding work!" "I was referred to FARfoto8 by a trusted colleague. After speaking with Fred on the phone and seeing his work, it was an easy decision. Fred could not have impressed me more with his customer service and friendly personality. I was at the house when Fred was doing the shoot and it is obvious that he is very passionate about his work. His prices are competitive and his work is above and beyond. There is no doubt that I will continue using FARfoto8 for all my real estate media needs. Thanks Fred and the team!" "FARfoto8 Real Estate Media is the only company I use for my business. They are professional, punctual and they always ensure that my needs are met when working with me. Whether it is a 3D virtual tour, video or aerial photography, I always know that the quality of work will be beyond what I could ask for, and that the time will be taken to ensure that everything looks as good as it possibly can. I have used other photographers for my listings, but nobody has compared to what Fred and his team at FARfoto8 are able to do for me. FARfoto8 is the ONLY company I will give my business to and I will continue to refer them to everyone that I know. I can always trust them to make sure that not only are my needs met, but that my clients are getting the absolute best service possible! "I highly recommend Fred of FARfoto8 to any agent or homeowner who is looking for a photographer in preparation for listing a house or property. Fred recently performed the photoshoot and photo preparation for my new listing in Burlington, Ontario and did an amazing job. The property is very large (4625 SqFt house and 10,000 SqFt Barn with 5000 SqFt of living space) and entailed many photos. Fred stayed many hours and went above and beyond in helping us prepare for the listing of the property. His photos are stunning and have an artistic advantage not seen often in real estate photography. My Sellers are very pleased and said the photos are absolutely beautiful. I will definitely use Fred's services again for any and all listings I have in the Mississauga - Oakville and Burlington areas. "Now a days it seems everyone is a "Photographer" but few have real talent and that's exactly how I would describe Fred's work... TALANTED! He is not only extremely professional, speedy turn around which was key for us in this hot real estate market but his customer service is top notch! Thanks to his talented work, our home was sold literally site unseen thanks to his photos, video and virtual tour! I would, and do recommend FARfoto8 to anyone selling your home and all agents who represent world-class treatment." 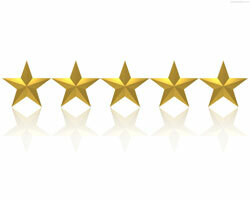 "This company is amazing and we wouldn't hesitate to use them again. The owner is very knowledgeable and passionate about his work and does an amazing job. I think one of the greatest attributes to this company is the absolute creativity they inspire in everything they do. Whether its creating panoramic videos with their drone aircraft (which is very cool to see your place from 2,000 ft and the surrounding areas of your neighborhood) to coming up with innovated ways to display and highlight the key areas you want to advertise. Being a relatively new company they put a heavy emphasis on being responsive to their clients needs. They are very receptive to your thoughts/ideas and will incorporate those ideas onto the finished product. As well, they are very price-sensitive and have a number of different packages available for all your needs. My past experience with FARfoto8 has been extremely rewarding for us, and their professionalism and creativity is out of this world. They show you alternative ways of effectively advertising your product to the masses with a finished product that will literally blow you away in amazement. We were extremely happy with the end result and would not hesitate to use their services again. They are by far the best choice in their field and it clearly shows in their completed work. Without question I would highly recommend this company to anyone looking to increase their visibility by using their enhanced technology in the video, photography and web design business. You will be amazed at the quality of work they produce and at very reasonable rates." "We used FARfoto8 this spring when we sold our home in Toronto. At first we were given a photographer by our real estate agent but we were disappointed with the results. We found Fred at FARfoto8 online after a friend in the industry recommended him. What a recommendation! Fred is not only personable and professional but he has a keen eye and is exceptional at his craft! We had a strict deadline and he came through. Very reasonable rates for the quality and detail he provides. I would highly recommend FARfoto8 to anyone needing quality work!"